How Many Ounces Are in Each Starbucks Cup Size? Demis and Ventis and Trentas, Oh My! It is generally thought that Starbucks named their sizes differently to set themselves apart. Much to the chagrin of local coffee shops, customers often request a Grande or Venti when ordering. These are not generally accepted cup sizes at other coffee shops! Most of the names Starbucks uses are Italian. This plays on the idea that visiting a Starbucks is like a trip to Europe or at least a quick virtual European experience. Knowing how much coffee you're getting in each size can help you figure out how much caffeine is in your Starbucks drinks. In the case of sweetened drinks and those containing milk and chocolate, size is a big factor in how many calories and how much fat you're drinking. Calories are also listed on the Starbucks menu for most drinks, so you can get a good idea of what you're drinking before you accidentally down a 500-calorie Frappuccino. Demi: Literally, "demi" means "half." Unlike most Starbucks drink size names, it is of French (not Italian) origin. The Demi is the smallest size at Starbucks and is used to describe an espresso-sized drink. It's 3 ounces (89 milliliters), which sounds tiny until you realize it's only for standard espresso shots, which are usually only about one ounce each. And that a double shot is usually under two ounces. Yikes! Short: The "Short" was one of the two original Starbucks cup sizes. It's a mere 8 fluid ounces (240 mL), and aside from the Demi (which is reserved for espresso shots), it's the smallest drink size available at Starbucks. For many people who drink coffee at home, 6 to 8 ounces is a standard cup size. It's only available for hot drinks and it's not very popular at Starbucks, despite the fact that it's a completely normal amount of coffee to drink at home. Tall: The '"Tall" is the other original Starbucks drink size and measures in at 12 fluid ounces (350 milliliters). When Starbucks started, the Tall was basically equivalent to a large cup at other coffee shops. Now, it's basically considered a "small" in the Starbucks world. In fact, if you order a "Small" at Starbucks, you get a Tall. No wonder why ordering coffee has become so confusing! Grande: Pronounced GRAWN-day, "Grande" is the Italian, Spanish, Portuguese, and French word for "Large." At Starbucks, there are two even larger drinks: the Venti and the Trenti. 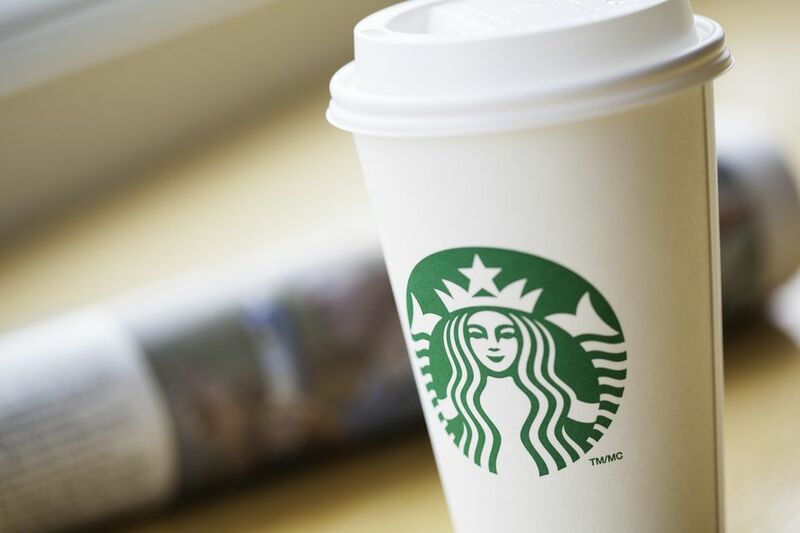 The Starbucks Grande is 16 fluid ounces (470 milliliters, or 2 1/2 cups). Trenta: Introduced in May 2011, the "Trenta" is the newest (and the largest) of Starbucks drink sizes. "Trenta" means "thirty." You might be thinking, "Oh, it's a continuation of the Venti theme. It's 30 ounces." Nope. Strangely enough, it's 31 ounces (920 milliliters). It's almost as though 30 ounces wasn't enough to make it the "Big Gulp" of the coffee world. The Trenta size is reserved for iced drinks only (i.e. iced coffee, iced tea, lemonade, and other drinks served over ice). It usually costs about 50 cents more than a Venti of the same drink. These sizes apply for most hot Starbucks coffee drinks and espresso drinks. However, there are a few exceptions, the most noteworthy of which is the sizing of iced Venti drinks. Iced Venti drinks are usually 24 ounces rather than 20 ounces. According to the Starbucks website, the Iced Cocoa Cappuccino is an exception to this. The iced version is still 20 ounces (not the usual 24-oz Venti iced drink cup size). Next time you're ordering at Starbucks, you'll be a little more informed about what size drink you're getting. However, don't feel bad if you're still a little confused. They definitely don't make getting a cup of coffee easy!